Bleak dystopian intro presents a desolate landscape akin to the one in the #Terminator films. The only thing missing is the metallic men with laser weapons. Intense opening battle. Wouldn’t want to run into one of the Sentinels in a dark alley. Speaking of metallic assailants, the Sentinels are truly fear-inspiring, not only in how they appear and move, but in their ability to assimilate mutant abilities. Are we witnessing the birth of the Borg? Wolvie is transported back to 1973. Is transported through a lava lamp and wakes up on a waterbed. School’s out, the professor’s sauced and a big, bad, blue wolf is on the loose. That’s the mother of all JFK conspiracy theories. “It’s cool, but it’s disgusting.” True, bone claws aren’t nearly as sleek as metal ones. Quicksilver’s run around the room is reminiscent of the Hammy’s sprint in #OverTheHedge. Although this sort of thing has been done before, especially with the alacritous red clad lad from the DC stable of heroes, this is the most creative and exciting sequence in the entire movie. However, I can see why director Bryan Singer chose to sit this mutant on a couch during the final climactic sequence: Quicksilver’s special ability would’ve swiftly undone every villainous act committed by Magneto and would’ve robbed Mystique’s fateful decision of any urgency and dramatic value. “Looks can be deceiving.” Truer words have never been spoken...by Mystique. Beast Hulks out and Logan is stricken by amnesia. Trask wants Mystique for “research purposes.” Sure! Charles mindmelds with Logan. The finger placement is a little off. Nice ST:TOS episode clip from “Tomorrow is Yesterday.” Another time travel story. It always pains me to admit when I’m incorrect on this particular subject, but the episode in question is “The Naked Time,” which I originally surmised and then second-guessed myself on. Both episodes use the shipboard chronometer located to the right of Sulu’s station, and I selected “Yesterday” because the Enterprise returns to Earth circa 1969, in a similar manner to Wolverine returning to 1973 in this movie. Based on that plot similarity, “Yesterday” actually would’ve made a stronger allusion since the ship merely skips back in time three days (seventy-one hours to be precise) in “Naked.” In my defense, there’s very little to go off of in these clips (a planet would’ve given it away in two seconds flat) and some segments seem to have been repeated. Apology and apologetics aside, it’s quite ingenious how Singer wove this ancillary, yet pertinent, tidbit into the tapestry of the film. Mise-en-scene at its finest. Charles uses a Jedi mind trick to get through security. Just figured I’d provide equal opportunity to the other major sci-fi universe. Magneto turns a stadium into a mother ship. This is the only story element in the movie that seems contrived to me. Since Magneto can pull metal from anywhere to create a barricade, absconding with an entire stadium seems a bit excessive. It’s a giant set piece that seems more appropriate for an old style Batman movie, and just seems unnecessary for the story at hand. Wolvie attacked by rebar snakes. Logan wakes up to the Golden Oldies. There and back again. Even Cyclops wears #Oakley shades. Other than the gray in Halle Berry’s hair, it’s remarkable how little this cast has aged since their first film together back in 2000. Final analysis: a decent time travel yarn without too many cheesy comic book clichés. Rating: 3 out of 4 stars. Next up in the Marvel-verse: #GuardiansOfTheGalaxy. Mixing older and younger versions of the same characters in one movie is an exciting premise, but also a risky one. 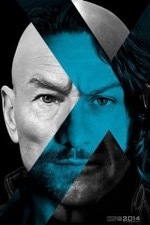 Part of the movie’s appeal is seeing older and younger selves interact with each other, as in the case of Charles Xavier (Patrick Stewart and James McAvoy). The constant threat of the Sentinels, the bracing time travel story line and the novelty of the 70s trappings all make for a unique comic-to-cinema tale. Featuring fan favorite Wolverine (Hugh Jackman) as the focal point and linchpin of the plot was a wise choice—this is Jackman’s seventh appearance as Wolvie. Perhaps it has something to do with her Oscar, but Jennifer Lawrence, aka Raven/Mystique, has been given more to do in this movie than in the previous one…I don’t know many teenage boys who are disappointed by that fact. Peter Dinklage is terrific as Trask, an opportunist who misguidedly thinks he’s furnishing the world with the security it desperately needs. If the movie has a weak link, it’s a story that’s so preoccupied with the impending extinction of mutantkind that it’s really a rather joyless affair. Quicksilver (Evan Peters) adds some levity during his five minutes of screen time, but the balance of the movie is an earnest, glum exercise in entropy. The movie is thought provoking at times, pulse pounding at others, but is it truly enjoyable? In the end, it’s just nice seeing all of our old and new friends together in one film, although some are little more than set dressing. So how does this latest film measure up to earlier efforts? It’s the best X-Men film since X2 (2003). However, for the next sequel I recommend lightening it up a bit. Since Jackman and Marsden can sing, how about a few musical numbers? X-Men: The Musical. Stick a pin in it. 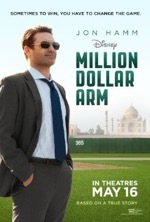 Million Dollar Baby was already taken, so Disney settled on Arm. Don’t believe a word I say. “A highly improbable challenge” to turn a cricket bowler into a baseball pitcher. With unlimited time and money, this feat might be attainable. But training two Indian teens (who have never even touched a baseball before) to become pitchers on a professional baseball team within one year would be a ludicrous proposition, right? Keep watching. This makes for a funny scene, but I wonder how many Indians would feel mischaracterized by this statement. The two Indian lads (neither of whom like cricket, which exposes another stereotype imposed upon Indians…that they all love cricket) observe that Hamm’s character is always hustling. By extension, making the comment that all Americans maintain a fast pace of life would be an equally prejudicial remark to the one quoted above. Tryout day. Long lines of low velocity throwers. Arkin gets plenty of shut eye. As always, Arkin is a hoot in this movie. He seems to be Hollywood’s go-to actor for playing a curmudgeon with a heart. As a side note, I was in the audience when Arkin introduced a movie he starred in at this year’s TCM Film Fest. The “real” Arkin seems far less irascible than his frequent onscreen personas, but every once in a while I detected a hint of that patented back east brusqueness. The last contestant is called “The Flamingo.” Aptly named. The double hurl scene is disgusting. I’d trade my sports car in for a minivan after that too. Can you really ever get the smell out? Finger cut shouldn’t effect the cutter. Correction: affect, not effect. Didn’t have time to reason it out. All of India will be watching. No pressure. “Thank you” meal is a sweet scene. Final analysis: a predictable, yet heartwarming true sports story. Rating: 2 1/2 out of 4 stars. The footage of the actual players during the end credits is a nice touch. Though there isn’t anything earth-shattering in the movie, it tells a mildly intriguing tale of courage in the face of impossible odds. There’s virtually no narrative complexity here and the characterizations are fairly cardboard, except for Lake Bell’s next door nurse, whose compassion and honesty lend the film the smallest modicum of genuine human emotion. 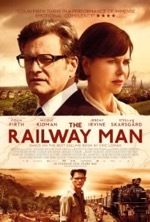 The uncomplicated plot and a cause and effect, some might even call it paint-by-numbers, story line render the movie predictable at every turn. 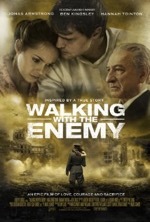 Those who prefer straightforward stories with lollipops and roses endings will be pleased to no end with this movie. Those who prefer more complexity and artistry in their entertainment will find this film borderline insufferable. There’s no doubt that the follow-your-dreams elements are a tremendous asset to the movie, as is the location footage shot in India, but the sum total here is far less than it could’ve been…and one could justifiably blame Disney’s family friendly formula for that. Is the film inspirational? Undeniably. Is it as inspirational as other Disney sports films such as The Rookie (2002) and Miracle (2004)? Not even close. 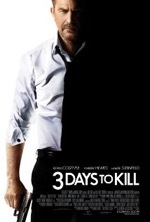 Like the early efforts of the Indian pitchers, this movie is slow and out of the strike zone. The dollar sign is on the wrong side of the numeral…long day at the movies. Why are albinos always bad guys, a la #ThePretender? The opening attack is pretty standard action movie fare…would’ve been nice to see a more elaborate scenario with edgier filming. And since Luc Besson is the co-writer, you’d almost expect that degree of punch and panache from the movie’s action sequences. Costner is admonished to put his affairs in order. A phrase no one ever wants to hear. Neither is purple, as he’s soon to find out. Costner rides a purple bike through Paris. “Kill or die,” says the comely woman in the hot sports car. Costner ties up a bad guy with the handy man’s secret weapon. Reference #TheRedGreenShow. You’ll be amazed at the myriad things you can create with the stuff. “The spare’s loose in the trunk.” Funny scene. Funny, but farcical. A spare tire can’t move on its own inside a parked car…unless we’ve unknowingly drifted into a horror movie. Bike riding lessons...a sweet scene. With a gorgeous vantage of the city in the background. “Real football.” I love it. The funniest scene in the movie, but the trailer absolutely ruined it. But the mom’s (Connie Nielsen) entrance at that particular moment, arranged for maximum emotional effect, is more than a little contrived. Costner really knows how to crash a party. Fitting, I suppose, since he was a bodyguard in a former (acting) life. Final analysis: a unique blend of action and humor in this job vs. family themed film. Some beautiful European locales along with a few Bourne-esque action sequences are a boon to the film. Rating: 3 out of 4 stars. Another solid turn by Costner and McG’s finest directorial effort to date. Despite its thematic tensions, something about this movie just works. It’s a serious movie about serious matters that doesn’t take itself too seriously. Thank goodness for small miracles. If played straight, the movie would’ve imploded since it falls far short of the quality seen in a Bourne or Bond Euro flavored action thriller. The film explores the lighter side of a genre where life and death stakes normally belie any modicum of levity. Tonally, the movie falls somewhere between Bourne and Red—a sizable dramatic chasm, to be sure. 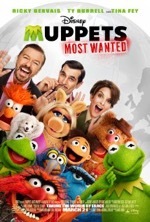 Some will, wrongly, view the film as a spoof, while others will be thrown by how it tries to wear two hats (or masks)—the light and the dark (reference the movie poster), the comedic and the dramatic. Such tonal shifts didn’t bother me because Costner is utterly convincing as a man with literally nothing to lose (except for the respect and admiration of his family) and because he navigates back and forth between the narrative poles with masterful ease. I can see where viewers expecting an all-out action film will be disappointed by the movie’s comedic bits and schmaltzy daddy/daughter scenes; the atypical blend of story elements will surely attract some viewers while repelling others, as any work of art will do when pushing the envelope. 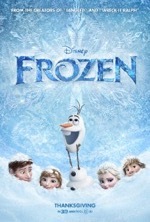 To me, the movie’s uniqueness is what sets it apart from a standard action picture and makes it an enjoyable entertainment. But if you disagree with my assessment, please don’t kill the messenger. The struggle to upload Roosevelt is quite intense and features a new slice of back story. However, this opening feels like a teaser on a TV show like The Blacklist rather than an introductory sequence for a blockbuster. Spidey carries a cellphone? Don’t recall seeing a pocket anywhere on his suit. Correction: Cell phone. Strangely, Twitter didn’t underline it in red so I went with it. Guess I should’ve trusted that tingling feeling on the back of my neck instead. Spidey’s dialog here is campy like in the comics...not sure it translates as well to the big screen. The first fifteen minutes, in particular, are brimming with cheesy one-liners which engender more eye rolls than chuckles. Sure, Tobey Maguire’s Spidey got off his fair share of witty remarks and puns, but there was something charming about his delivery that’s absent from Garfield’s daffy deluge of doltish comments. Enough blathering on the subject, though, lest I become guilty of delivering the same kind of remedial retorts I accuse the wall-crawler of employing here. Foxx has a Spidey psychosis. I’m speaking of Foxx’ character, of course, Max…also known as the villain Eelman. “Change isn’t a slogan.” Hmm. Must exclude campaigns. I so want to get up on a soap box here, but I shall refrain. Sparkles is this movie’s version of Syndrome. Foxx zaps people with force lightning. He does kinda’ look like the Emperor. How to distract four thugs with a coffee mug. Pouring coffee on one of them is always a good start, but how clichéd is this? Aunt Mae discovers Peter’s web of photos. Correction: Aunt May. Guess you can tell that I don’t read the comics. In the Special Projects lab. Did anyone else see the mechanical appendages? Sequel teaser? Gorgeous scene atop the bridge. Actually, this is the only scene in the entire movie where I felt Webb took a moment to create some art. Everything else is just crashing, smashing and teen angst. Peter is a science geek. Why wouldn’t he think of the magnetism solution? Cop car license plate is 1701. Star Trek fans will understand the inside gag. Gwen literally sees time pass her by. A fist bump for tiny Spidey. Cool scene. Though the David and Goliath scenario added to the scene’s intensity, the Rhino would have to be a real sicko to take out a little kid, so the tension doesn’t reach the apex it was intended to. Final analysis: the story, which is a loose association of subplots, takes forever to coalesce. In fact, I’m not sure there really is a through line here except, perhaps, for Peter’s promise to Gwen’s departed dad, and even that story thread is so intermittent it’s more of a subplot. Everything seems off here: strange performances, insipid dialog & a weak plot are major debits here. I’d have to go back and watch the movie again to pinpoint such occurrences, but some of the acting choices and facial expressions in the film really left me scratching my head. Rating: 2 1/2 out of 4 stars. A downturn from the first film. Pining for Maguire’s Parker about now. I would say I’m disappointed by this second Webb Spidey movie, but my expectations were so low after watching the first film that I gave this sequel wider latitude to fail…and it did. Miserably. 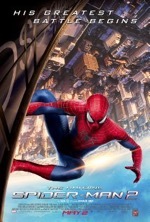 Granted, the sequel makes a genuine attempt at providing some back story for Peter and Harry Osborn’s (Dane DeHaan) fathers, the fate of Peter’s parents and some additional insights into the life of departed Uncle Ben, but these scenes are just flour and water paste designed to hold the series of action sequences together, which, of course, is asking far too much of dramatic filler. While failing to connect emotionally, these back story elements also contain flaws in logic like that fact that only the Parker bloodline can successfully assimilate the mutant spider venom…one family among the seven billion people inhabiting our world? I’ve heard of designer viruses, but sheesh. This contrivance to produce friction between Peter and Harry, who wants a dose of Spider-Man’s blood to smooth out the blemishes on his neck (can’t Harry afford some plastic surgery?) is utterly daft, and indeed, the Goblin’s presence in the movie is completely superfluous and should’ve been saved for the sequel. Despite repeated attempts at keeping Gwen out of harm’s way, our hero, ultimately, isn’t equal to the task of protecting her. Is that his fault though? In my book Gwen asked for it by failing to heed Spidey’s many warnings and by foolishly circumventing the extreme measures taken to ensure her safety (which include webbing her hand to a car). Maybe it’s just me, but if Spider-Man told me to stay away from a particular building, I’d be three states away. So then, is Gwen’s insistence on remaining in the line of fire a death wish or just plain ignorance? Then, near the end of the film, the wall-crawler tasks Gwen with pushing a button once he gives her the signal (a virtually identical scenario to the one played out by Tony and Pepper at the end of the first Iron Man film). There’s one small problem, however; Spidey and the villain are engaged in a berserker style battle that’s destroying a good portion of the power plant. So the question is, how can Gwen re-start the power grid if the apparatus supporting it has been blasted to smithereens? I could go on nitpicking this film until the next, inevitable, sequel premiers, but I think the point has been made by now. Webb’s Spider-Man films are shaping up to be a drab, joyless, reheated version of Sam Raimi’s trilogy. Will they have any staying power or, like Lucas’ prequel trilogy, will Webb’s films simply fail to stick?